Marks & Spencer ran a full-page ad in today's Metro featuring England manager, Gareth "style icon" Southgate, in his trademark waistcoat and stripey tie. 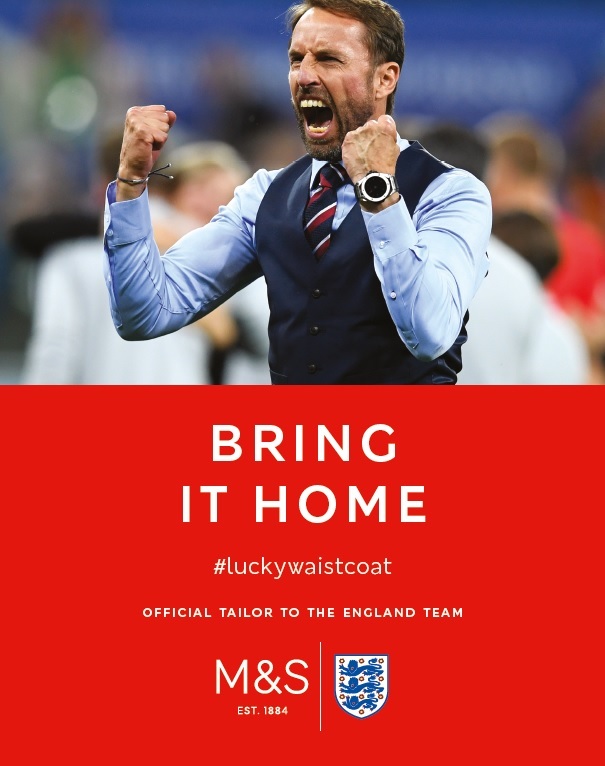 The spot highlights the fact that the retailer is the official tailor to the England team, and uses the hashtag #LuckyWaistcoat. It was created in-house by M&S, with media handled by Mindshare. 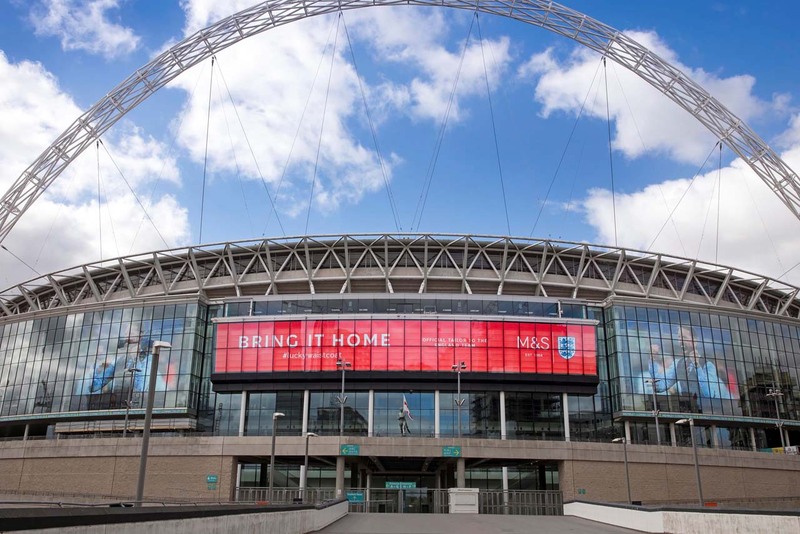 M&S later ran large digital ads reading "Bring it home" and #LuckyWaistcoat at Wembley Stadium, where it held its AGM this morning. It follows M&S declaring last Saturday, the day of England's quarter final victory over Sweden, as "National waistcoat day". Elsewhere, blood cancer charity Bloodwise is using the hashtag #WaistcoatWednesday to encourage fans to imitate Southgate's sartorial elegance and raise money to fund their research. M&S announced at the start of the month that interest in Southgate's outfit on the touchline had caused waistcoat sales to increase 35%. There has also been a surge of interest in waistcoats on Google, with searches rocketing since the start of the World Cup.